My husband and I, we love tea. He likes it cold and sweet. A true southern boy. I like a good hot herbal brew. A simple green tea is my favorite, sweetened with a little honey. 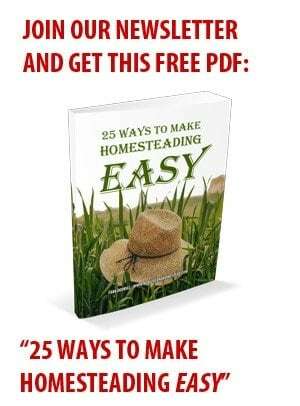 One of my goals here on our homestead is to grow as many plants as we can to brew our own teas. We appreciate variety in our drinks, and since we don’t buy soda and we rarely buy juice (we mostly drink the apple juice and grape juice I can each year) it would be nice to mix it up a bit. It takes time to get an herbal tea garden established, but I think it’ll be well worth the effort. I like to look at the ingredients in my favorite tea blends to get ideas for plants to grow. An evergreen shrub native to Asia. It can be grown in USDA climate zones 7 – 9 (though there is conflicting info on growing zones, with some sites saying it can be grown anywhere from zones 6b to 10). Prefers a rich and moist growing location in full sun. Spreads 4-6 feet in width and height at maturity. Camellia sinensis can be used to make green tea, black tea, white tea, and oolong tea, depending on when you harvest and how the leaves are processed. 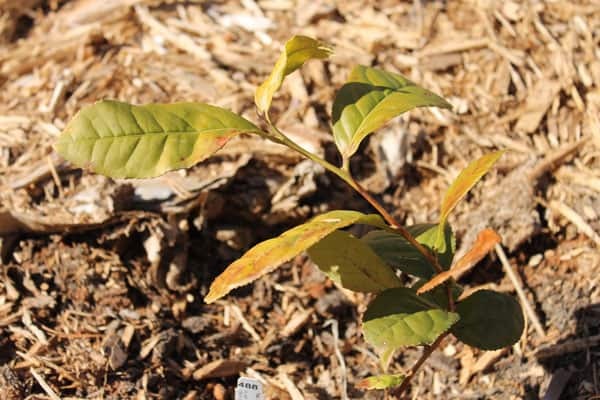 Read more at How To Grow Tea Plant Camellia sinensis. Perennials grown almost anywhere in the US, these are great dual purpose plants. Not only can you get delicious fruits from raspberry and blackberry bushes, you can also harvest the leaves to make a flavorful tea. Hot raspberry leaf tea is one of my favorite remedies for relieving painful menstrual cramps. Peppermint, Spearmint, Orange and Chocolate mint… there are many different varieties of mint plants, and all of them make a delicious tea- cold or hot. 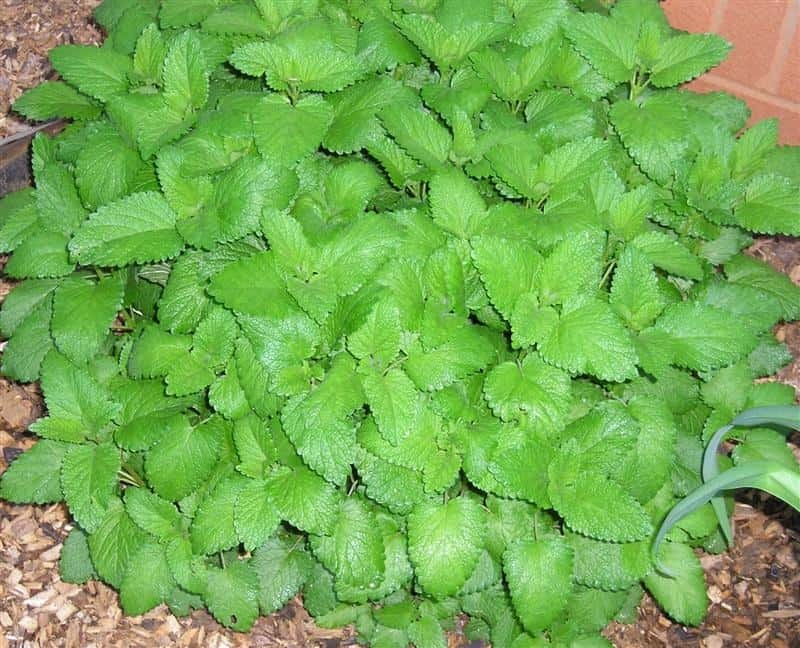 Be careful with mints as they will spread like crazy and can take over an entire garden bed very quickly. Keep them under control by planting them far from anything else you have growing, or plant in containers. Plant it where you’re sure you want it, ’cause it can be hard to get rid of if you change your mind. It does make a lovely tea, and is great for headaches, belly aches, and constipation. Beautiful, daisy-like blossoms. Roman Chamomile is a perennial flower, where German Chamomile is an annual shrub. Hardy in zones 4-9. The blossoms of either variety can be used as a soothing tea. Chamomile is great for upset stomachs and helps relax you before bedtime, as well as having other medicinal properties. It’s one of the ingredients in my favorite Sleepytime Tea. A member of the mint family, lemon balm will come back year after year and spread where it may not be wanted, so keep an eye on it. Can be grown in zones 4-9. Will tolerate full sun or partial shade. 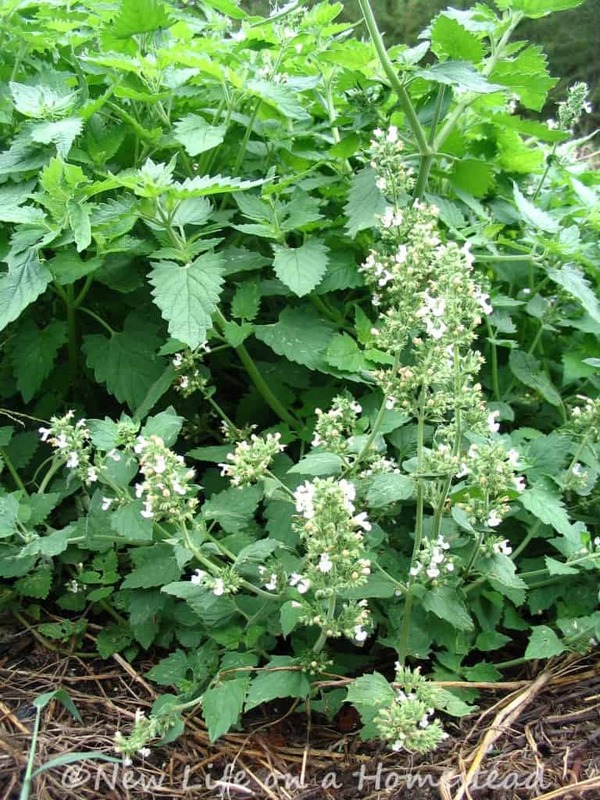 Lemon balm tastes mildly lemony, and is gentle and relaxing. Good for calming nerves. Enjoy the tea hot or cold. The calyces of this gorgeous plant make a delicious cranberry flavored drink, as well as having many other culinary uses. It is a shrubby annual, which can reseed itself if the conditions are right. Prefers warmer climates, and is sensitive to light frosts. Can be grown with specific care in zones 6-11. The large rose hips collected from this particular variety of rose are delicious in tea, and serve up a good dose of Vitamin C. In general, these plants will grow in USDA zones 3-9, in full sun to partial shade. They’re beautiful, medicinal, and delicious. Also known as Black Chokecherry, dried Aronia berries make an antioxidant-rich herbal tea. The fruits can also be used to make juice, jam, syrup, wine, and can be dried and used in baked goods. A woody perennial shrub. Grows in zones 3-8. Plant in full sun. Will reach 4-5 ft tall and 8 feet wide. Many herbs can be used for medicinal teas as well. I won’t cover all of them here because I want to mainly focus on plants that are just plain tasty to sip. 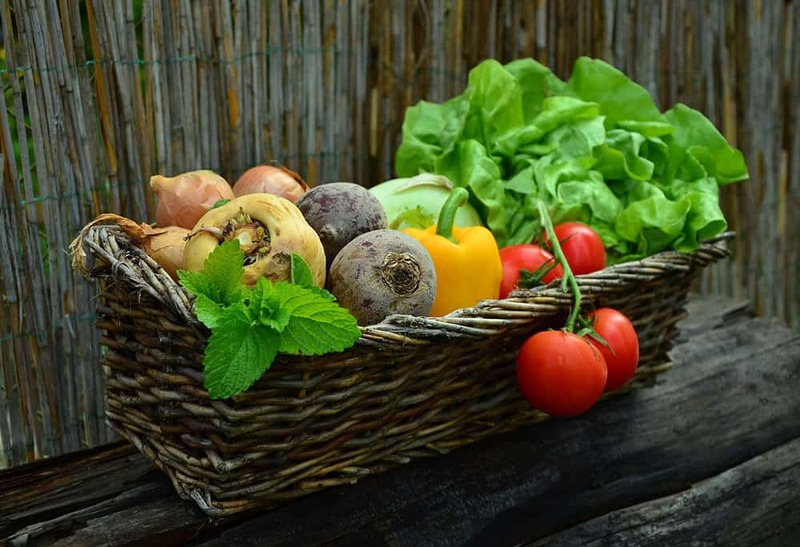 But definitely keep culinary and medicinal herbs in mind. While you’re at it, you might want to grow your own natural sweetener as well. We have found Stevia to be a wonderful addition to our tea garden. What are your favorite plants to grow your own tea? Hi Kendra! Anything on how to preserve the leaves for tea after they’re grown? We’re considering peppermint and chamomile this year. I either hang them up to dry in bunches, put them in a dehydrator, or freeze them in ice cubes, depending on the herb and what I want to do with it. Store dried leaves in an airtight jar in the pantry. Just make sure they’re dry enough to crumble between your fingers before drying, to prevent mildewing. I’ll to try growing some of these, looks like yours are doing wonderfully. I meant mix in the lemonade not tea!!! I am not a big tea fan in fact I will go thirsty before drinking any type of tea. But I love making lemonade and adding mint and lemon balm. I make lemonade from scratch and then blitz a handful of mint and lemon balm in the food processor, scrap it out into the tea and mix. Drink ice cold with crushed ice or herbal ice cubes. Yum, makes me crave summer. Great idea, Robbin! You’re making me crave summer as well, lol. Have a good one, Kendra! I’m jealous of your lemon tree, Kristi!! One of these days I’ll have a greenhouse full of citrus and bananas, lol.